After the budgetary extravagances of Son of Frankenstein (1939), the new brooms at Universal were determined to play it safe henceforth, despite that film having played a major role in the studio’s financial upturn. 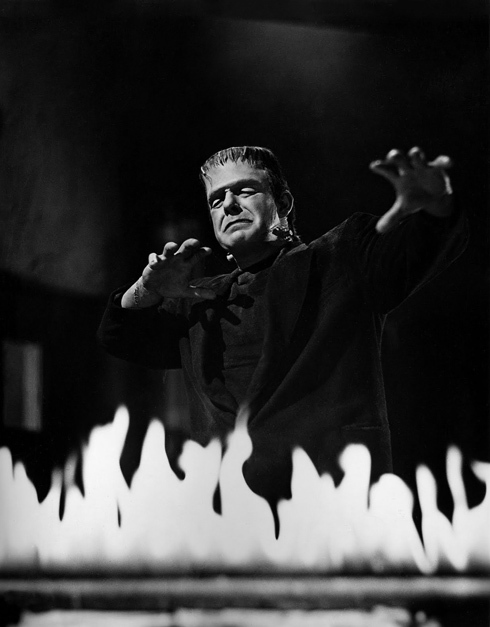 The Ghost of Frankenstein, therefore, although a polished and highly presentable feature, was constrained by a formulaic approach that would set the new precedent for the franchise going forward. 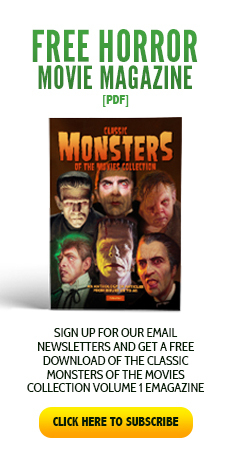 Much was made in the trade press, even by Universal, of the impact on proceedings of Karloff’s absence in the key role of the Monster. The pretence of a “search” for his replacement was short-lived and the natural conclusion that it would be Lon Chaney was soon revealed. The studio had presented the masquerade of not wanting to wait until Karloff’s theatrical obligations to Arsenic and Old Lace, his massive Broadway stage hit of the 40s, were fulfilled. However, in reality, Karloff was no longer under contract to Universal and hadn’t made a picture for them for a couple of years. Furthermore, and crucially, he had already taken the decision never to play the character again, feeling that all dramatic potential had been explored or used up. To keep things on the straight and narrow, talented but unadventurous director Erle C Kenton was appointed, seen by Universal as a safe and dependable pair of hands to deliver another on-budget and on-schedule horror crowd-pleaser. 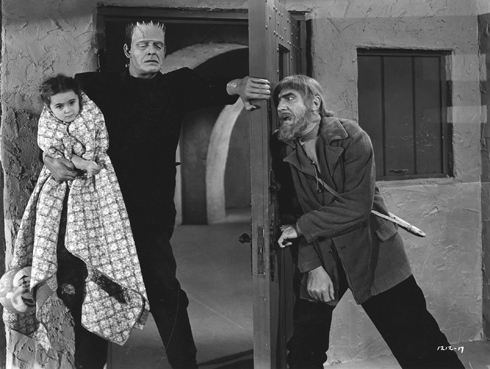 Exciting and well-executed though it is, The Ghost of Frankenstein never reaches the heights attained by its three predecessors, due in no small part to Chaney’s lumbering and soulless portrayal of the Monster. Completely lacking any of Karloff’s pathos, the Creature is reduced to nothing more than a murderous brute, with the actor giving it little more investment than he did to his characterisation of the Mummy. 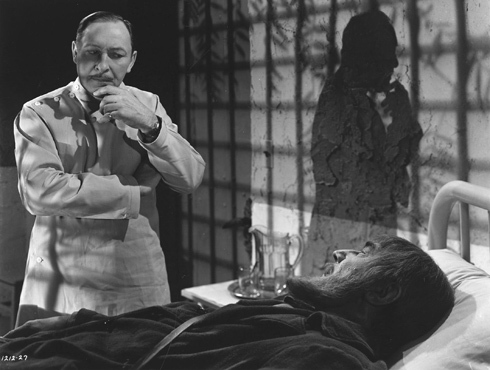 The script for The Ghost of Frankenstein, originally penned by Eric Taylor and subsequently heavily rewritten by W Scott Darling, does provide opportunity for Chaney to stretch himself, but it seems his working under Kenton’s passive directorial approach fostered his propensity to do very little. As a stark thug in a role that was increasingly becoming supporting, his contribution is passable, but the film is only rendered good by the performances of those who surround him. In particular, Bela Lugosi shines through spectacularly in his juggernaut portrayal of Ygor, even managing to overcome the lack of chemistry between his character and that of the Monster, which had been so beautifully evident opposite Karloff in Son of Frankenstein. 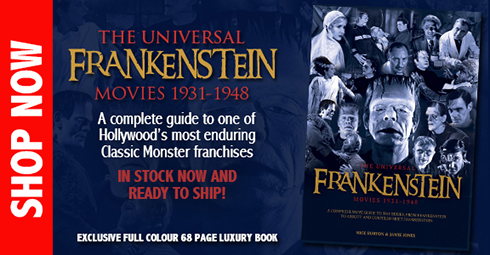 Strong interpretations from Cedric Hardwicke as Ludwig, Frankenstein’s second son, and Lionel Atwill as the disgraced Doctor Bohmer, still managed to make The Ghost of Frankenstein an A-picture, and are enhanced by competent support from Evelyn Ankers and Ralph Bellamy. Dwight Frye, ever reduced to overwrought townsfolk displaying hysterical histrionics, is given next to nothing to do in The Ghost of Frankenstein; at least this was a step up from the cutting-room floor, which had been his experience in the previous film. The Ghost of Frankenstein sort of picks up where Son leaves off, save for the inexplicable survival by Ygor of Wolf’s bullets, other than a cursory mention in dialogue that he just did survive them. The happy villagers at the end of the previous film have also mysteriously become a bunch of moribund moaners once again, blaming all their ills on the curse of Frankenstein. 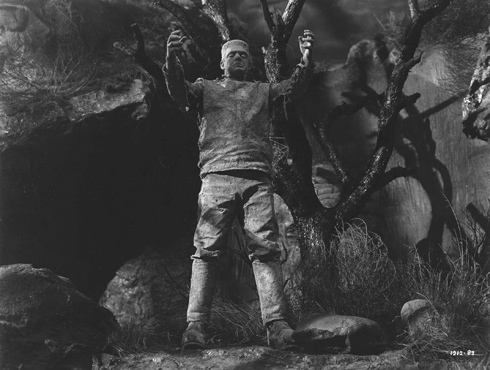 In order to appease them, the Mayor (Lawrence Grant) gives them leave to blow up the remains of the ancestral Frankenstein home, leading to one of the most spectacular sequences in the film, as Ygor, mid-explosion, discovers the Monster waving at him from the dried-out sulphur pit which has neatly preserved him for future use by the crooked shepherd. Leading him away under the crazed villagers’ collective radar, Ygor is astounded when the Monster seeks to be struck by lightning, but realises that the electrical force, being his mother, is what is needed to restore his energies. This gleaned, it’s off to Vasaria to seek out Wolf’s brother Ludwig Frankenstein, who specialises in “diseases of the mind” and, it would seem, brain surgery. Upon entering the town, the Monster has a tender exchange with little Cloestine Hussman (Janet Ann Gallow), one of the local children, which unfortunately ends in his arrest by the angry townsfolk. Beautifully directed by Kenton, the scene is sadly not all it could be, as Chaney just fails to deliver any amount of believable emotion. 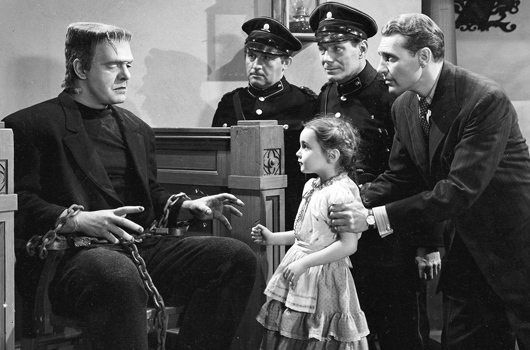 Over at the Frankenstein house, Ygor persuades Ludwig to have the Monster released into his custody by threatening to expose the family’s unsavoury history to his daughter Elsa (Evelyn Ankers) and the rest of the town’s inhabitants. Once installed, the Monster kills assistant Doctor Kettering (Barton Yarborough) and attempts to make off with Elsa, forcing Frankenstein to gas them all to get things under control. Deciding to destroy the evil once and for all, Ludwig determines to dissect the Monster with the help of colleague Doctor Bohmer, but the latter refuses to acquiesce. Receiving a visitation from the ghost of his father, Frankenstein sets upon a new course of making the Monster good by transplanting the brain of Kettering into its skull. 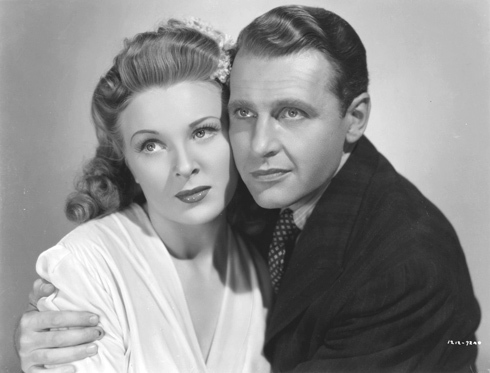 Double-crossed by the shepherd and Bohmer, the well-intentioned scientist unwittingly gives the creature Ygor’s brain and, when the house is stormed by the torch-bearing Vasaria mob, reveals this to Elsa’s fiance and town prosecutor Erik (Ralph Bellamy) to the horror of all but the dastardly duo. Ygor’s triumph is short-lived, however, as Bohmer had not reckoned on him having an incompatible blood group to that of the Monster, and as a result he goes blind. Feeling betrayed by his cohort, the Monster flings the bemused Bohmer into an electrical panel where he is killed by a massive power surge. As the blinded creature stumbles around the laboratory, toppling over machinery and chemicals, he sets the house ablaze, perishing alongside Ludwig as Elsa and Erik escape into the sunrise. 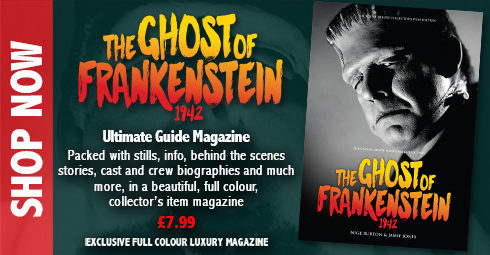 Although it would oft be plundered and recycled, the strong score for The Ghost of Frankenstein, written by Hans J Salter, helps the film achieve some of its polish. 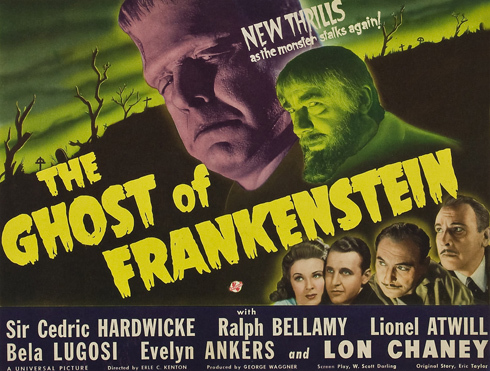 The high overall production values of skipper George Waggner, a careful application of Jack Pierce’s iconic Monster make-up, albeit looking slightly out of place on the well-fed face of Chaney, and strong performances in the main, make this a solid and faithful episode in the Frankenstein saga. 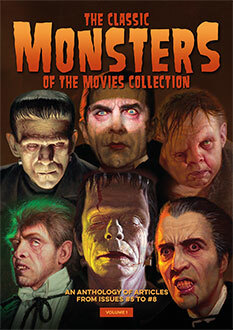 The decline was, however, set, and this would sadly be the Monster’s last solo appearance as a Universal horror icon. The ill-fated Frankenstein Meets the Wolf Man (1943) could have been almost perfect, but was let down by obscure cuts and politic changes, and by the time Glenn Strange stepped into the Monster’s boots in the final two serious instalments, the studio had all but lost interest in the character.